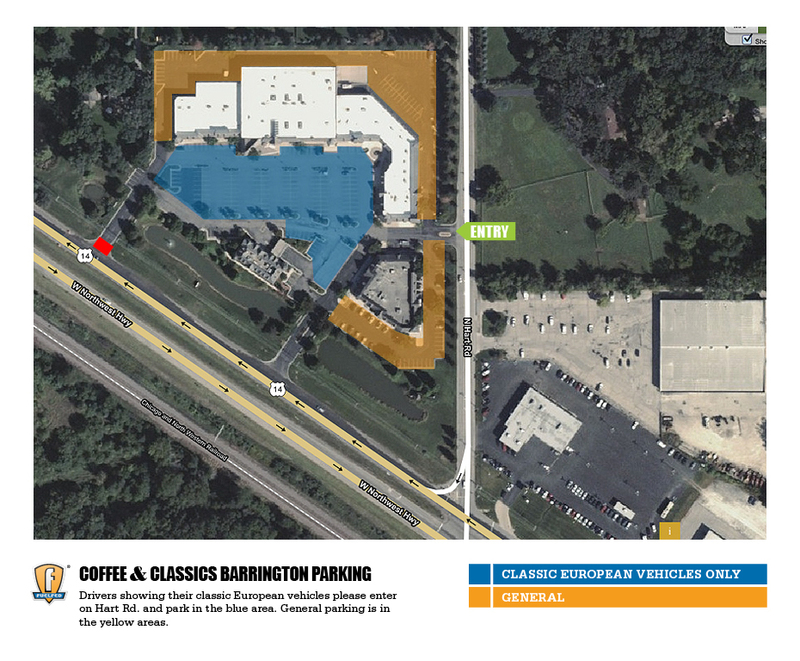 This Sunday morning July 15th, we continue our very successful Coffee & Classics series in Barrington. 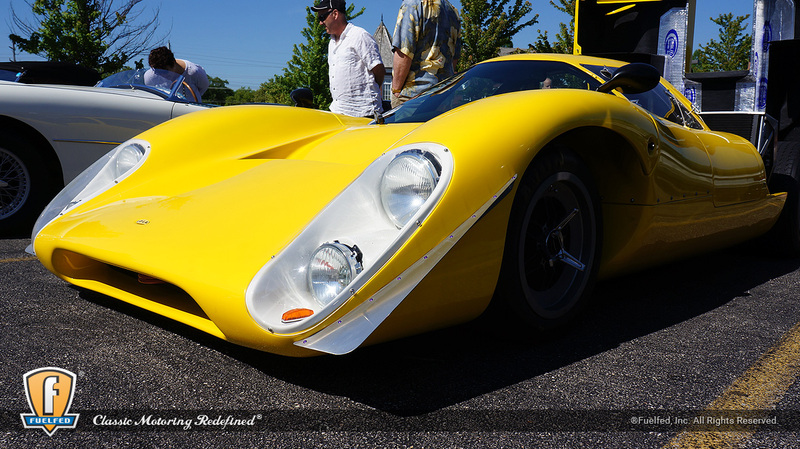 Each event draws an incredible new crop of classic European cars vastly different than what we see in Winnetka or Hinsdale or anywhere else for that matter. Ambrosia will be serving up coffee, pastries and brunch options. 1. 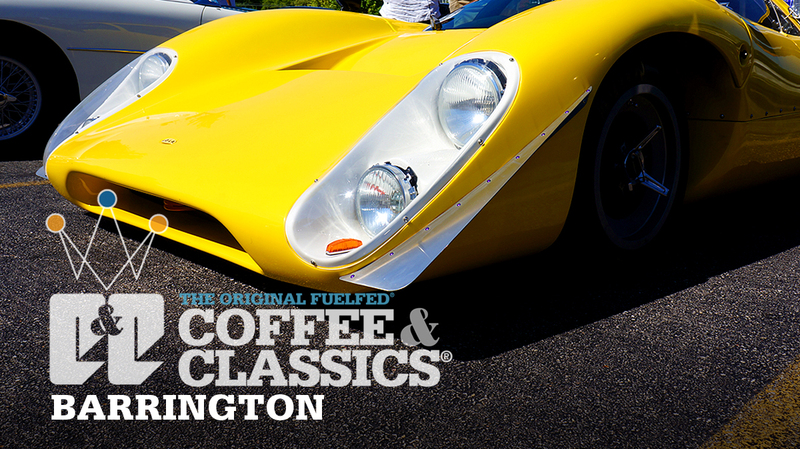 Coffee & Classics is a private club event for current Fuelfed club members. However, if you have a classic European car manufactured prior to 1990, you can make a donation of $10 at the main gate to show your car. We encourage you to join Fuelfed and your $10 will be credited to your membership dues. 2. Please arrive at 9:00am, not 8:30am. 4. Finally, we do not allow any soliciting, nor marketing of your car or services at any Fuelfed events. We ask drivers to download windshield display cards and fill out their car’s vitals. This will allow the rest of us to appreciate the classic even if the driver isn’t nearby to chat. Click on image below to enlarge and fill in your data, then print it out. 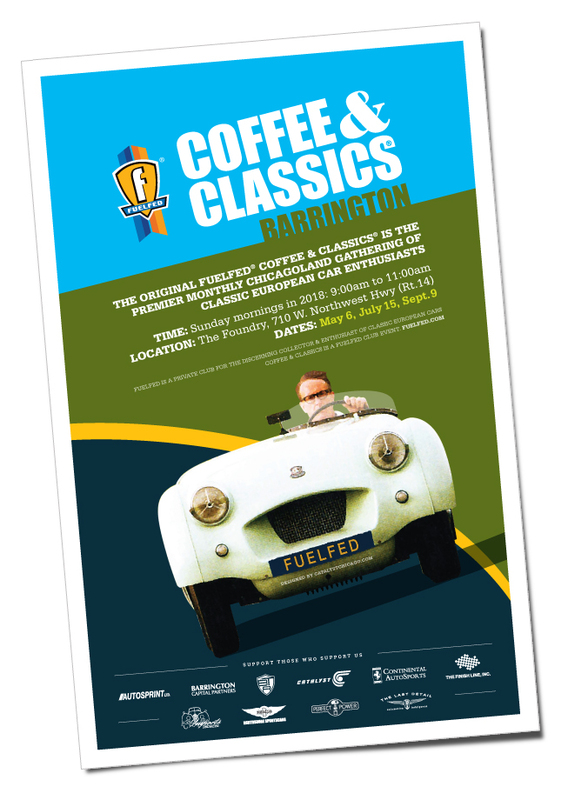 This Sunday morning May 6, we continue our very successful Coffee & Classics series in Barrington for 2018. Each event draws an incredible new crop of classic European cars vastly different than what we see in Winnetka or Hinsdale or anywhere else for that matter.